A top business consultant and speaker lights the path to a positive, productive work environment. What do the best leaders do to achieve greatness in the modern workplace that is muddled by fear, pressure for productivity, overwork? Inspire! offers business leaders a clear vision of what a positive, productive, inspiring organization looks like in these challenging and chaotic times, and how to get there. The key to extraordinary long-term performance lies in a transformational commitment to inspiring people rather than motivating them. Lance Secretan's Higher Ground Leadership concepts have been widely used to increase profits and quality, slash staff turnover, and achieve record organizational and personal performance. Inspire! 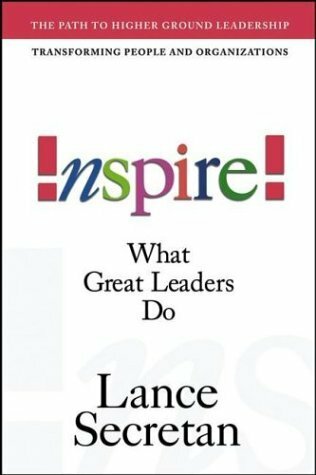 describes Lance's breakthrough thinking, often in the words of the pace-setting leaders who are implementing them and building legacies. Countless examples, stories, and case studies demonstrate the magic of these brilliant ideas.